wineries | Stand Up and Speak Out! For Halloween weekend, my cousins, Missy and Kate, and I headed out on a road trip. Our destination: Virginia and Jess for a fun-filled girls’ weekend. After 11 non-exciting hours in the car (and standing behind the most indecisive person at Subway) we pulled up to Jess’ recently purchased townhouse. As she gave us the grand tour, my mind filled with images of décor and paint. I mentally spent the money Jess didn’t have to make the house over in her style. We then made an alcohol and pizza run settled in for a night of food, drinking, and Euchre. 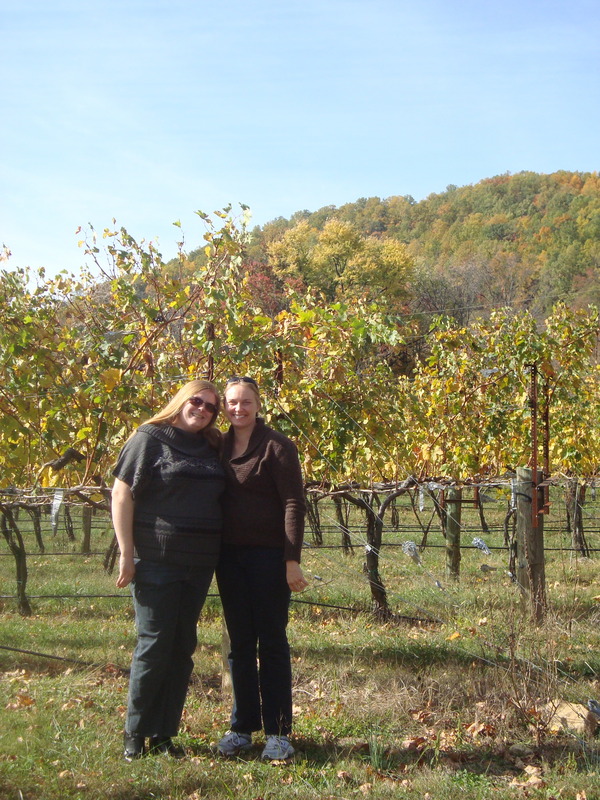 The next day we started out on the road again, this time to take in several vineyards and wineries of Virginia. We did not lack choices; Virginia is riddled with them. Jess and I are not wine connoisseurs (yet) but Kate and Missy know quite a bit, so we took their lead. The first winery was up in the hills, through winding roads lined with orange and red leafed trees. 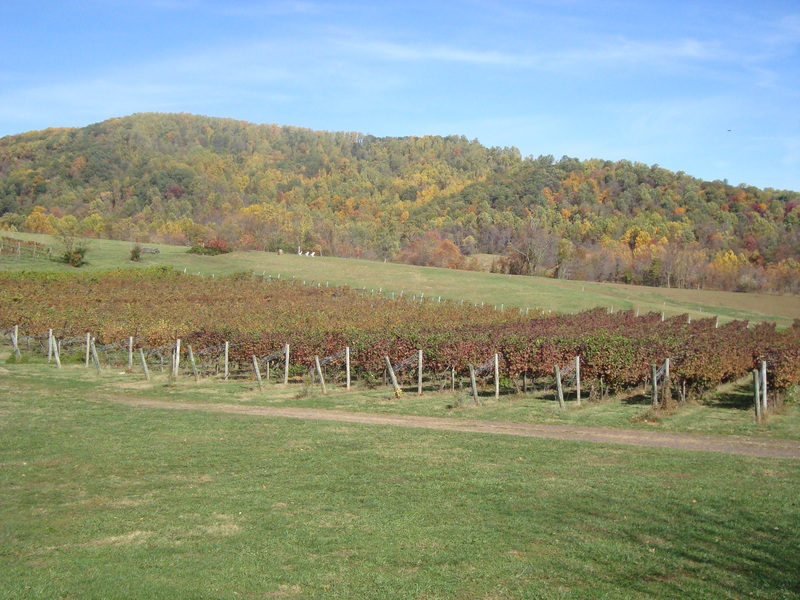 DuCard Vineyards is a small, organic winery. We were the only ones there early in the morning. Our host was a young man and when he spoke, I’m surprised the four of us didn’t swoon visibly. A thick French accent came from his mouth, dimples on his cheek as he smiled at us. None of us caught his name so we’ll just call him Pierre. Pierre started to tell us about the first wine but then stopped in the middle of his speech. “Can you understand my accent?” he asked. It took me a second to figure out what he was asking, but once I did, I nodded and smiled. It was a beautiful accent and I didn’t want him to stop. I don’t think the other girls did, either. We continued on and I watched Kate and Missy. I swirled when they swirled, sipped when they sipped, ate a cracker when they ate a cracker. Not surprisingly, I enjoyed the sweeter wines. Kate assured me that when she started drinking wine, she started with the sweeter and went drier. I still tried the dry wines because one never knows if something will strike her fancy. I actually liked a few of the dry wines but not enough to actually buy them. Kate also explained that red wines go well with red meat but I could try it with pasta and red sauce instead. I will, too, but I wasn’t willing to spend twenty dollars on a bottle of red yet. Pierre recommended Sharp Rock Vineyards and gave us directions from DuCard Vineyard. It wasn’t too far so we went there next. It was warming up outside and between the weather, the scenery, and the wine coursing through my body, I was in a great place and I was with my girls. Who could ask for anything better? Sharp Rock Vineyards rested by a creek in the hills. The tasting room was in the attic of a converted barn. We walked into the barn and the first floor had barrels of wine sanctioned off but there was no room to just stand and look. We went upstairs and went to the counter. There were other people tasting there but there were two people pouring the wine. Because it was busy we didn’t have one-on-one service and the people couldn’t stop to chat about the wine as much. Plus, they weren’t French or cute. Still, I bought a bottle of wine, as did Kate, and we headed out again. 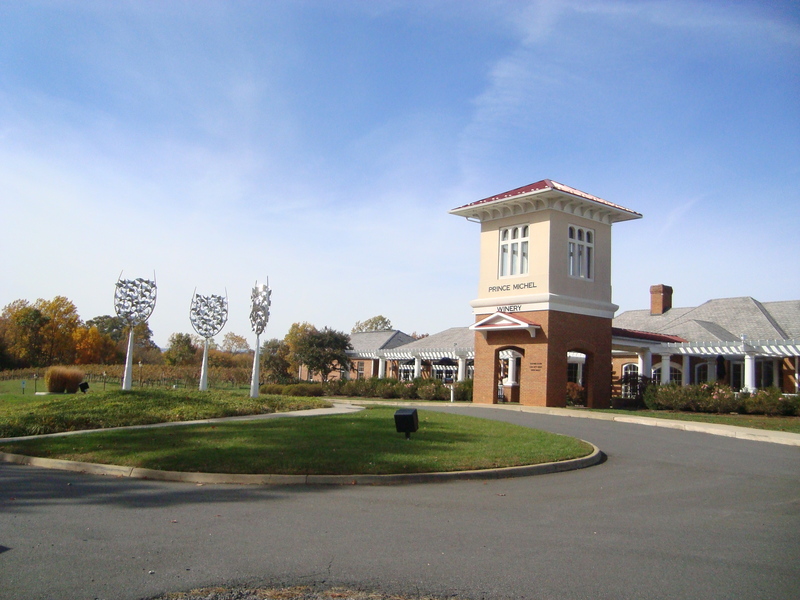 It was nearing two so we left for the Library of Congress (the audio/visual conservation branch) in Culpeper. Every weekend they screen a movie and that day they were screening Young Frankenstein. Despite my love for Mel Brooks, I had only seen the movie once before and this was a chance to see it on the big screen (for free, none-the-less!). The Library of Congress did not disappoint. The theater, which holds about 250 people, was practically full. There were plush chairs, beautiful lights, and the ceiling was painted like the night sky. Before the movie started, a guy gave an introduction for it, informing us of some trivia about the film, like how Mel Brooks appeared as a gargoyle. The rest of the day was fairly uneventful, mostly consisting of more drinking and Euchre.